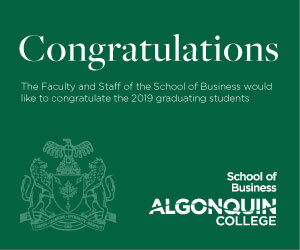 Algonquin placed highly in a review of applied research success this year in a report from a business intelligence firm. The college now holds second and third place in research partnerships ranking and number of projects respectively in this year’s Research Infosource publication. These results are from the 2013-2014 fiscal years and are the result of hard work by the Office of Applied Research and Innovation and the programs that work closely with them. Applied research happens when Algonquin partners with a local business or enterprise to help deliver features or products that a business might not have the resources to implement. The research income, number of partners and projects are what Research Infosource measure as metrics for success. But Mark Hoddenbagh, executive director partnerships and applied research, thinks there is more to the story. Now with the ongoing success of the partnerships, Applied Research and Innovation looks towards filling more of an incubator or accelerator role for Ottawa-area entrepreneurs to bring their ideas to fruition. “We help somebody be more effective in their business. Now they’re able to have more sales, now they’re able to reduce their cost of goods, now they’re able to hire more people,” said Hoddenbagh. Currently, one major project is a collaboration with GaitTronics. They are an Ottawa-based company which is developing a robotic rehabilitation device. A team of five from the School of Multimedia and Design are helping create the user experience for the tool that assists a physiotherapist or a nurse to safely and easily mobilize patients. 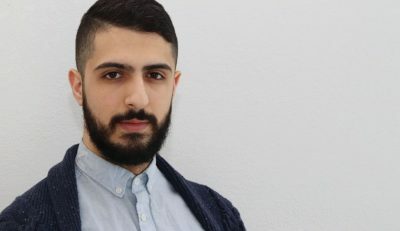 It is co-founder and CTO of GaitTronics, Ali Morbi’s second time using the skills of Algonquin students to create a completely new component of their technology. GaitTronics is collaborating with a multi-disciplinary team at Algonquin to make a user interface that leverages your tablet or smart phone to control the device. “That includes people with technical backgrounds, and some with more design backgrounds,” said Morbi. Their previous project partnership was a cloud based gait data monitoring software and it won third place at the Applied Research Day in August of this year. Algonquin research ranks again Reviewed by Bryson Masse on November 13, 2015 .